Brian and Jo Ann were one of our amazing 2015 J&M Sweethearts. At the time of their wedding, they had requested us to hold off on posting their wedding photographs due to Brian being a teacher. But when Brian changed career paths, Jo Ann and Brian were more than happy to allow us to share their wedding. And we're so glad they did, because there are so many wonderful parts of this wedding and their story to share. Brian and Jo Ann's have all the makings of a modern-day love story. They met online and decided to meet for a date. On their first date, Brian meant to text his friend about how he was enjoying his date, but accidentally texted Jo Ann instead. Talk about a confidence booster on a first date! One date turned into two, which turned into a relationship, and before long these two knew they wanted to spend the rest of their lives together. And while their love story may have began with modern-day technology, their wedding was a day filled with beautiful, classic elements that withstand the test of time. Brian and Jo Ann chose their church, Calvary Baptist in Waco, as the location for their ceremony. 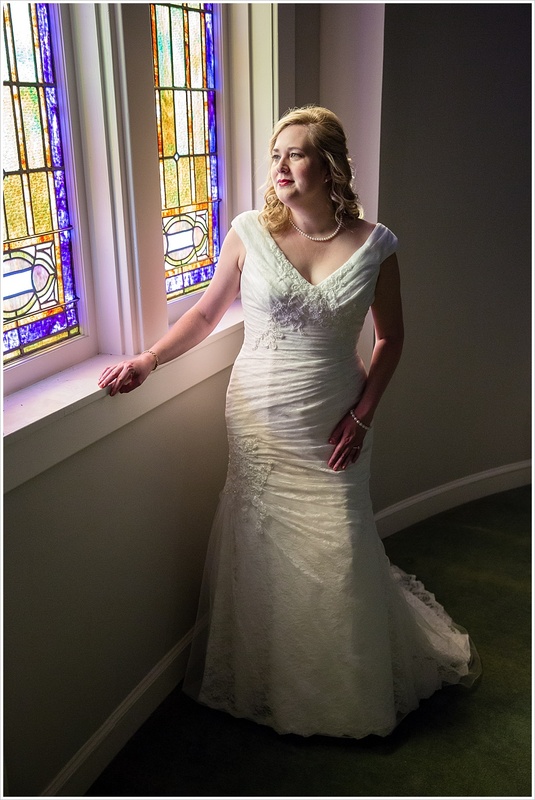 Throughout the church are beautiful stained glass windows that served as gorgeous backdrops to intimate moments with Jo Ann and her mother prior to the ceremony. In the sanctuary itself, the afternoon sun streamed through large windows on either side of the room, creating a beautiful atmosphere for their wedding ceremony. Jo Ann's college roommates sang a favorite hymn and the guests joined in the singing during the ceremony. It was such a beautiful traditional wedding ceremony, filled with meaningful participation from those who are close to Brian and Jo Ann's heart. And the love shared between these sweethearts and their close-knit family and friends continued to be displayed as the celebration moved to the reception at the beautiful Carleen Bright Arboretum in Woodway, Texas. So many people from different seasons of both Brian and Jo Ann's lives were there to celebrate the love story of this sweet couple. College roommates mixed with childhood friends seamlessly. Co-workers and friends danced the night away on the dance floor. And everyone there agree that Brian and Jo Ann had found their perfect mate in one another, and wished them nothing but the happiest of marriages for their lives. Including us. So congratulations again Brian & Jo Ann! It was an honor to witness and document this chapter of your love story.